By: Andy Maskin, Program and Platforms Director for FCB Garfinkel in New York. If you understand the title of this post, you are probably a fan of HBO’s hit drama Game of Thrones. 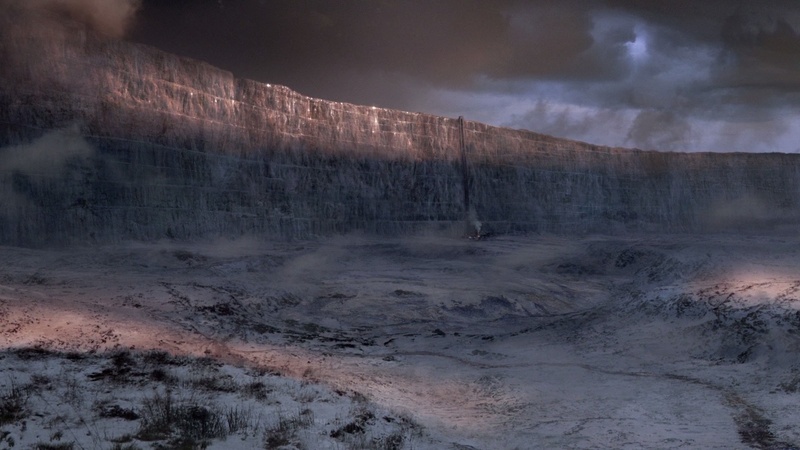 For the benefit of those unfamiliar (and this is not a spoiler), “The Wall” in the show is a gigantic wall of ice built across the entire northern border of the kingdom to keep the “Wildlings” from attacking. For the purposes of this post, I’m using The Wall as a metaphor for cable television bundles. Stay with me. For those of us following marketing and technology (GoT fans or not), there was some big long-awaited news this week and it wasn’t the launch of new iPads. HBO and CBS, on consecutive days no less, each announced stand-alone subscription video-on-demand services that will be available to consumers without a cable subscription. Although HBO already has a popular streaming service that provides on-demand access to old and new HBO programming, up until now, HBO GO has only been available to cable subscribers. It provides on-demand access to old and new HBO programming. CBS is launching a service called CBS All Access. In addition to streaming on-demand episodes from dozens of shows old and new (from “Star Trek” to “Cheers” to “The Big Bang Theory”), the service lets users in select markets watch the livestream of the local CBS affiliate. Both services are aimed at younger audiences who have grown up with the Internet and seemingly infinite entertainment choices. This cohort, who balk at paying for big cable bundles, are often referred to as “cord-cutters” (those who have dropped cable) or “cord-nevers” (those who have never signed up for cable). They consume services such as Netflix, Hulu and Amazon Instant Video on their computers, mobile devices, special set-top boxes and Smart TVs. Many TV manufacturers are shipping models with these apps already built in. This shift in audience behavior, an overview of the applicable technologies, and the impact on marketers is covered in a white-paper I wrote earlier this year: What the Living Room Revolution Means to Brands. Most of what you’ll read about the HBO and CBS announcements is the threat they pose to cable companies, and that threat to bundle subscriptions is real. Cable companies certainly won’t collapse overnight; in fact, they often sell the broadband services over which these apps will stream content. But there’s big news here for advertisers, and agencies as well. Because as eyeballs shift from linear television and 30-second TV spots towards this new form of TV viewing, what do we do then? In the CBS offering, the answer is fairly straightforward. Livestreams of local stations will carry the same ads as if you were watching on cable or with rabbit ears. After a show airs, and it is available on-demand, there will still be commercial breaks, but the ad load will drop by 25%. It is important to understand for the long-term view of our industry, that this is only the first step in a more profound change. Once you are advertising within an app, rather than through a linear program, the creative possibilities explode. Using their finger, mouse or TV remote, consumers can act on ads instantly. Digital coupons can be clipped, sponsored content can be bookmarked, and even direct mail can be requested. No need to call a toll-free number or remember to add a particular cereal to your shopping list. This shift represents the immediacy of digital advertising brought to the reach of TV advertising. The challenge to marketers and agencies will be how to best harness these new capabilities to move the needle for brands. At its heart, this is a creative challenge and amazing work will come of it (as well as many failed experiments along the way). As marketers and agencies, we should start looking ahead and dreaming up how consumers will be influenced to change behavior once their viewing habits change. How will they be reached, and what will we offer them when we reach them? We’re being handed an upgraded creative palette and there’s no time like the present to start painting.